General Motors (NYSE: GM), which just reported a sizable drop in sales for January due in part to inclement weather, is scheduled to report its fourth-quarter and full-year results Thursday, February 6, before the opening bell. Investors will be looking for any boost from GM's new line up of new Chevrolet and Cadillac models, as well as continued robust sales in the United States and China and further improvement in its European operations. Volkswagen overtook GM as the largest automaker in China in 2013. 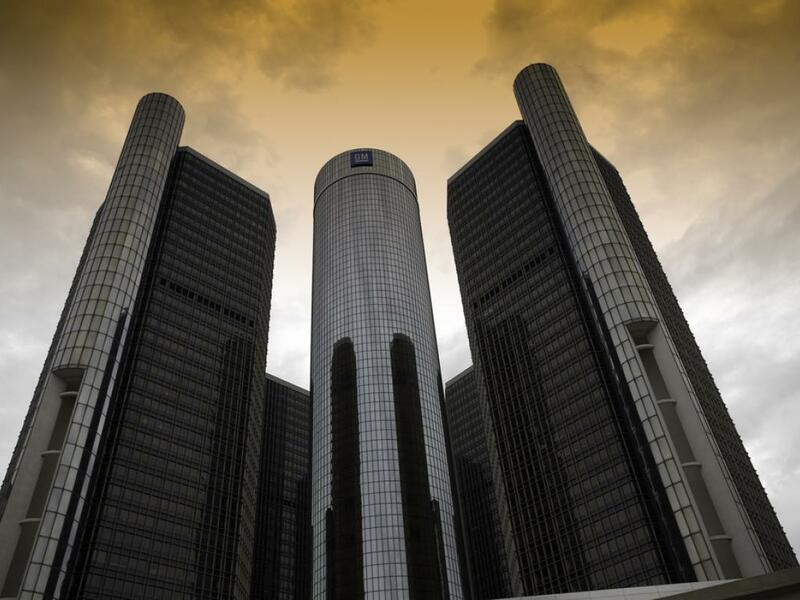 Analysts on average predict that GM will report that its revenue for the quarter increased more than four percent year-over-year to $40.96 billion. Earnings of $0.87 per share are also in the consensus forecast. That would be up from a reported profit of $0.48 per share in the comparable period of last year. Note though that 60 days ago the consensus earnings per share (EPS) estimate was $0.90. And the earnings surprises in the past three quarters have diminished, to a beat of about two percent, or two cents per share, in the third quarter. "We made gains in the third quarter as we improved our North American margins and increased our global share on the strength of our Chevrolet brand," the CEO said in the third-quarter report. The share price dropped less than two percent in the week following the report. The analysts' consensus full-year forecast calls for $3.38 per share in earnings on revenue of $155.48 billion. That would be up from $3.24 per share and $152.26 billion in the previous year. That consensus EPS estimate has dropped by two cents over the past 60 days. General Motors is one of the world's largest makers of cars, trucks and automobile parts. Its brands include Buick, Cadillac, Chevrolet, GMC, Opel and Vauxhall, and it produces vehicles in 37 countries. It also provides financing services and lease products through GM dealerships. This S&P 500 component was founded in 1908, and its headquarters are in Detroit. It now has a market capitalization of almost $50 billion. Daniel F. Akerson had been chief executive officer of the company since September 2010 and chairman of the board since January 2011, but he retired in January. Competitors include Ford, which posted better-than-expected fourth-quarter and full-year results last week, and Toyota, which recently said it expects to post a record profit in the current fiscal year, despite a drop off in sales in January. 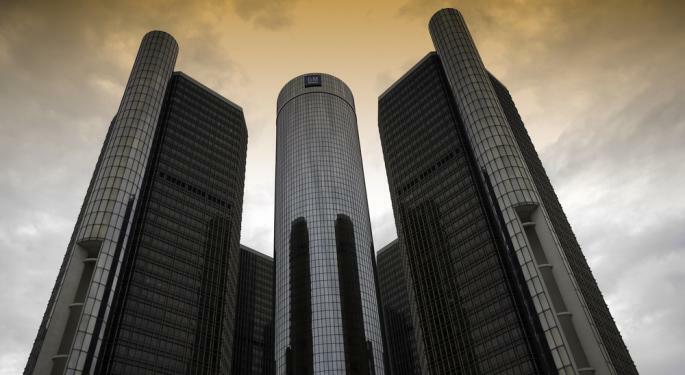 During the three months that ended in December, GM declared a dividend, announced a solar project in Ohio, named a new chief marketing officer for Cadillac, sold its stakes in Ally Financial and PSA Peugeot Citroen and announced $1.3 billion in plant upgrades. GM has a long-term earnings per share growth forecast of about 16 percent but a price-to-earnings (P/E) ratio greater than Ford and Toyota. Its operating margin is less than those competitors. GM has a return on equity near 17 percent. The dividend yield is near 3.3 percent. The number of GM shares sold short, as of the most recent settlement date, represents less than one percent of the total float. That was down about 14 percent from the 52-week high back in November. 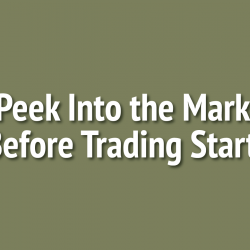 It would take less than three days to close out all of the short positions. Of the 19 analysts surveyed by Thomson/First Call who follow the stock, five of them rate it at Strong Buy and another nine also recommend buying shares. The analysts' mean price target, or where they expect the stock to go, is about 25 percent higher than the current share price. The share price is down almost 14 percent year to date, compared to a nearly six percent drop in the S&P 500. The share price dropped below the 200-day moving average in the past week. Over the past six months, GM has outperformed the competitors mentioned above but underperformed the broader markets.